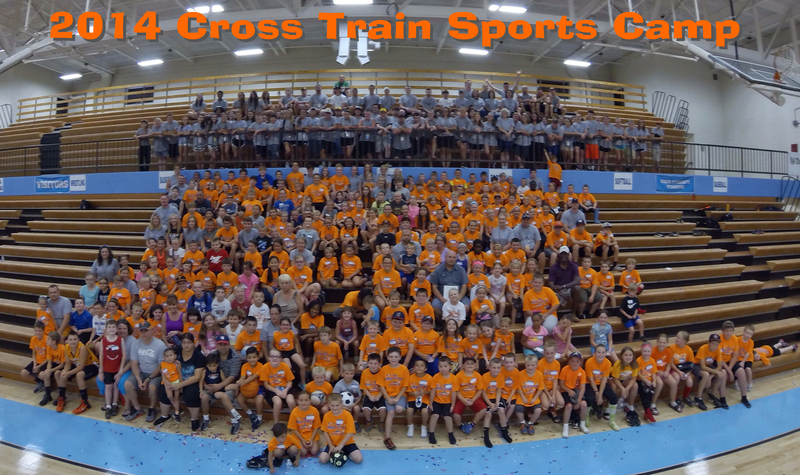 For the past three years, the last week of June has been designated as the week for Cross Train Sports Camp at Gibbs High School in Corryton, TN. Each night of the week children ages K – 8 are invited to learn more about their sport and hear about the love of Jesus! Campers are treated to excellent coaching from the top coach of each sport at the high school level for football, basketball, cheerleading, softball, baseball, soccer and volleyball. Head coaches, coaches and players from each of these sports are represented to show these younger kids drills and motivation to reach the next level. The camp starts each night a 6:30 and ends with a huddle time in the gym where the kids hear about the theme and Bible verse for the week. Each night a speaker will share their experiences with life and Jesus – sometimes they are famous, and sometimes they just want to pour into kids. I have been a part of the conception and leadership team for the camp each year. For me this camp is so special because of how it was birthed, who it serves, who serves in it, and because I was saved as an 18 year old boy at FCA camp in Maryville, TN. Camp is just special to me. I love serving the kids and our community through the camp, and want to share five positive takeaways from this year’s camp. 21 Salvations recorded this year. This is the reason we have sports camp – to see children saved. Now did each one of these understand what they were doing – probably not. We are in the process with following up with parents, but even if they did not understand today – they are on the right track in their minds to fully understand what true repentance and salvation looks like. Praying with warriors. Man we have some awesome prayer warriors show up for Sports Camp, and I love to see God working in their lives. They build me up and give me encouragement. Loving on children. It is so good just to love on kids who will let you. All too early kids put up their shields like they don’t need anybody, but it is so good to get those who will let you love on them. Some of these kids are love starved, so loving on them in the name of Jesus is so impactful. Serving with friends. I grew up in this community. I know a lot of people here, and it just blesses my heart to serve our Jesus with friends outside the walls of our church. Strengthening our community. I don’t know of any other event that will strengthen our family like coming together, serving each other and our God. It builds the community in very deep ways that will pay dividends for years to come in ways we may never even see. Recently one Sunday morning at church I was asked by a friend to give my testimony that night during our evening service. I am always glad to share the assurance I have in Jesus and how God is working in my life, so of course I agreed. I also had a few other things on my mind that I wanted to share with the church, so I asked our pastor what direction I should go with my talk. He said to just tell why you are the way you are. Well I think I know what he meant, but it really got me to thinking how I got to be the way I am. Those who know me know that I am a bit different. But then again – so is everybody else I know! I was raised in a Christian home, and my family was in church on a regular basis. I grew up in a Methodist church, went through the Confirmation class at 12 years old, and at the end of the class we prayed to receive Christ into our hearts. Was I saved at that time – I am not certain. But I do know that when I was 18 years old I went to FCA Camp in Maryville, TN and I knew God was working in my heart that weekend. I also knew I could not give a certain answer of where I would go if I was to die that day of May 5th of 1984. Through the message given by Rev. Jerry Upton, the Holy Spirit convicted me that I did not have a personal relationship with Jesus, and I responded by coming forward during one of the services and knelt down at the altar to asked Jesus into my heart. I knew then in my heart for certain that I had: repented of my sins, told Jesus I believed He died on a cross and was raised on the third day as a sacrifice to cover my sins, I asked Him to save me, and told Jesus I would follow Him with my life. I have in no way lived a perfect or sinless life since then, but know in my heart that I can always ask God for forgiveness and it is granted. And I know that because that night I received salvation, and by the assurance in His Word, that I will be forgiven of things I do (sin) that disappoint Him. Now it was not long after I accepted Jesus into my heart that I realized satan was really tempting me in a lot of different ways that I had not experienced before. I went to college and the US Army facing attacks from satan, and I hate to say it but he won a lot of those battles. I remember carrying my little green Gideon Bible in my cargo pants every day I was in the Army uniform, but I did not make reading it a part of my daily life. I was a worldly Christian giving way to Jesus and the world at the same time. So of course I experienced failures and disappointments as I tried to follow Jesus. My wife was the catalyst to bring me to a closer walk with Jesus. I knew in my heart that Jesus connected us for her to be my mate and to bring me closer to Him. I saw in her something I wanted more of in my life – an active growing personal relationship with Jesus. I am delighted to say that since our wedding I have been on a slow path of growing closer to Him! As I grow older my faith increases through the trials I continually face and how I am able to handle them. You have to know that satan will not leave you alone if you are trying to live for Jesus. I am slowly becoming more obedient to Jesus by daily denying satan and the attacks he sends. I am not always successful, but slowly getting better as I grow in my faith. I know I will never live a sinless life until I leave this body in the grave and enter into my eternal home in Heaven! 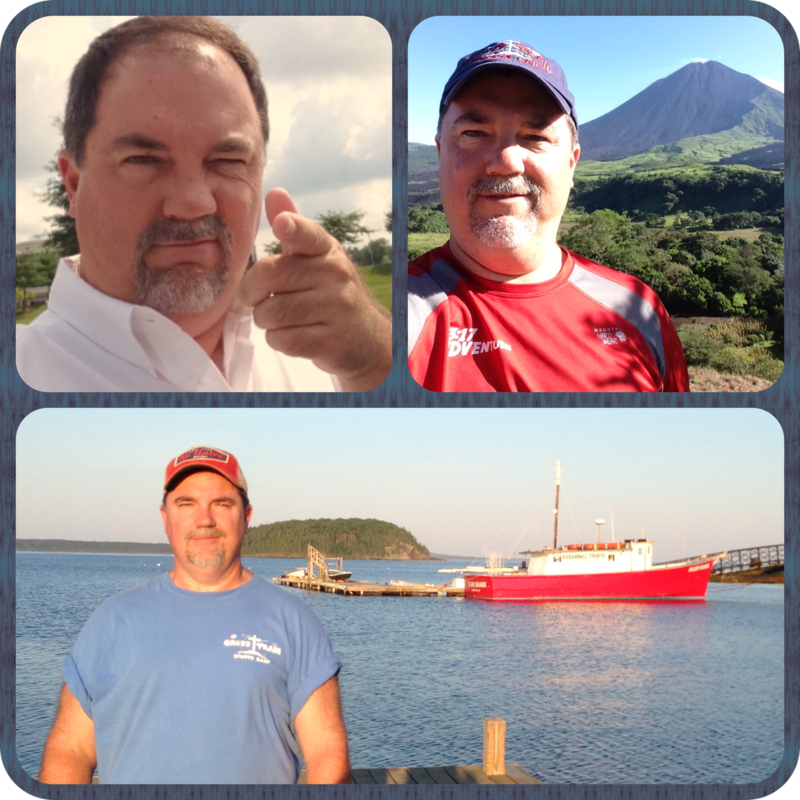 I am amazed and humbled by the way God has used me over the years. I have enjoyed serving Him in many leadership roles such as a youth minister and Sunday School director. He has molded me through the daily trials as a leader, husband and father. I have been fortunate to lead individuals to receive Jesus as their Savior in Guatemala, during camps and Bible Schools, even by phone with my cousin in Ohio. Jesus has led me on so many adventures, and they all started with a single step of obedience of saying yes – I will follow You and I will go where You send!